S-OIL, established in 1976, has grown into one of the most competitive oil refiners in the Asia-Pacific region by establishing profitability-oriented management strategies and nurturing dynamic and progressive spirit in the management. 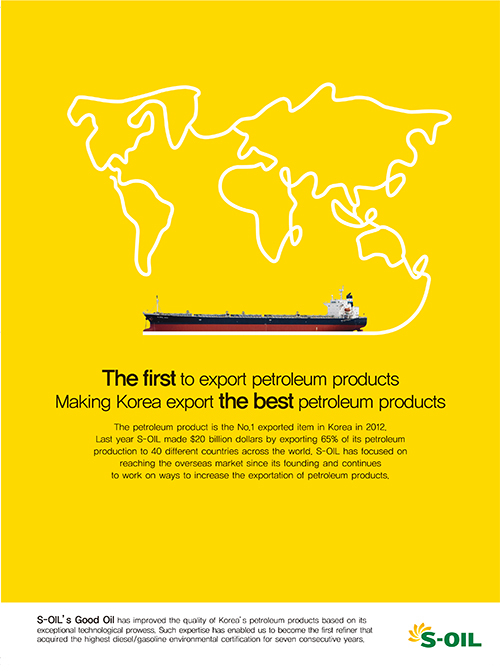 The company operates the oil refinery facility with the capacity of 580,000 barrels per day(BPD), and other facilities that can produce petrochemicals and lube base oil in the Onsan Refinery in Ulsan. S-OIL is strengthening its status as a leader in protecting customers and the environment by producing and supplying the best quality oil products based on the world-class Bunker-C Cracking Center(BCC) and the Xylene Center, a PX plant with the world’s highest production capacity for a single facility.